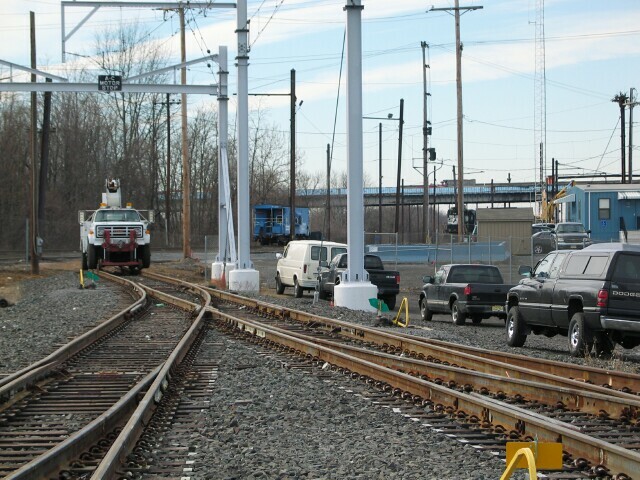 First proposed over a decade ago, the soon-to-be-open New Jersey Transit Morrisville Yard will eliminate a problem that has existed for years. 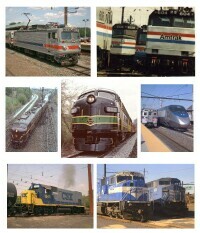 Amtrak's Trenton Station is used by both NJT and SEPTA as a terminus, and turning the trains requires running them across all four NEC tracks in order to get them to the proper platform. Storage of trains is also an issue. 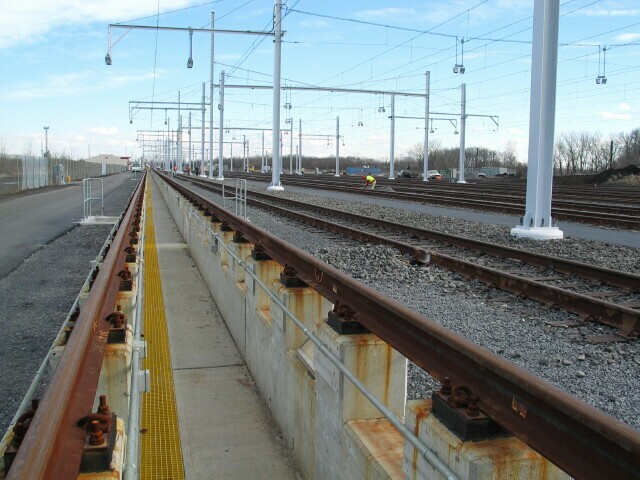 Coordinated with the opening of the new Secaucus Transfer Station , this new yard will allow trains from New York to discharge passengers at Trenton Station and then proceed across the river through Morris interlocking to the Morrisville Yard, where they can be serviced and then sent east without tying up the NEC main. The yard as completed in Phase I includes an office and crew building, an equipment service and inspection facility and a storage yard that can hold up to 120 cars. Future expansion in Phase II could double the storage to 240 cars. This is part one of a series. Please note: this yard is not open to the public. Many thanks to the people at New Jersey Transit, especially Project Manager Oscar Sandoval, and Jerry O'Neill, Project Manager for Construction Management with Urban Engineers, Inc. of Philadelphia PA, for the opportunity to tour the yard. 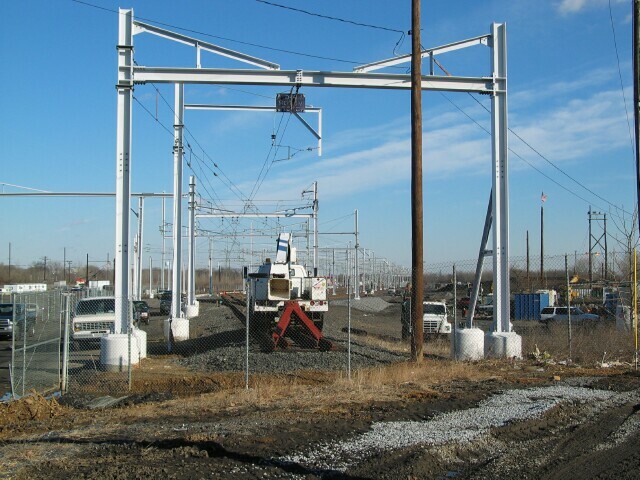 View from the west end of the facility, adjacent to the Conrail yard office. 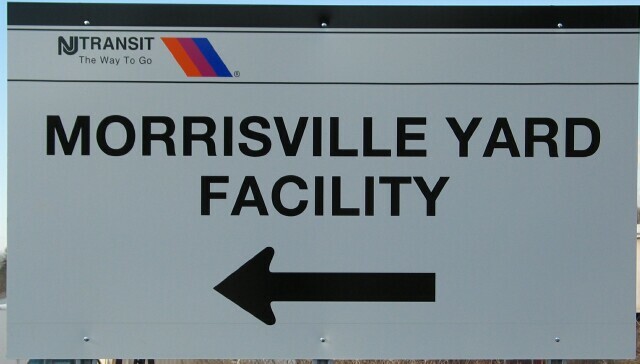 The NJT yard occupies the former "A" yard at Morrisville. 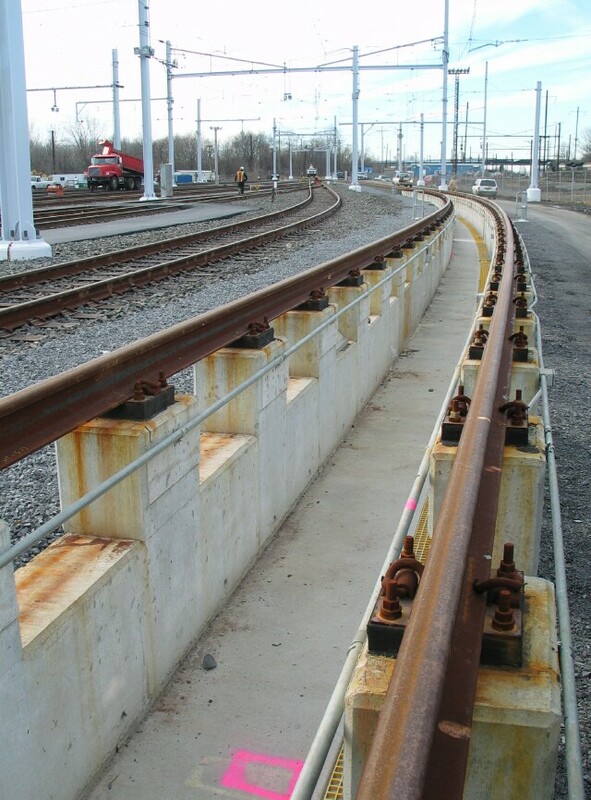 The "B" yard to the west (between Route 13 and Tyburn Road) is used by NS and Conrail SAA for mixed freight, while the "C" yard (between Tyburn Road and CP MA) is used by NS for intermodal. The "A" yard had been out of use for many years, with the tracks north and south of it still operational for access to the NEC and the USS Fairless Works. The western stub end of the yard will presumably be used to run the locomotives around the trains. The new Conrail office is visible to the right. 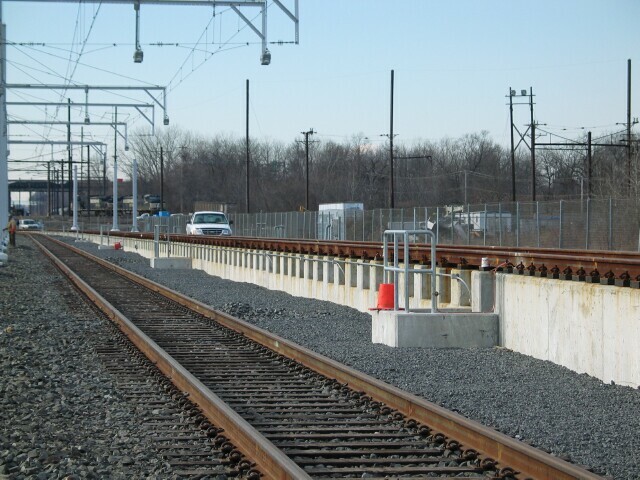 Conrail and NS trains will still access the NEC using tracks on either side of the yard. Conrail SAA services the Bristol and Trenton Industrial Tracks off the NEC during the day, and NS has a third shift transfer run between Morrisville and Linden/Metuchen (the old LMPI/PIML route). The northern most track in the yard is the inspection track, which features a pit over 1000 feet long, enough to fit an twelve car train.